Touring with a small group and just your private driver-guide across France allows to see so much more! 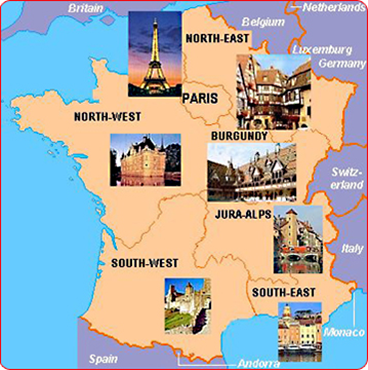 Our French tour will be custom made to your exact specifications, and will include all land expenses such as your own minivan, all hotels, meals, entrance fees etc. hotels and meals in fine cuisine restaurants among the best in France are included in the price of our tailor-made tours. Your guide will ensure that you get the best room within your category, that you do not miss any important sites and that you understand and appreciate France to the full. Please feel free to enquire about any custom-made private tours in France. We are always happy to suggest an itinerary for your specific needs. We regret however we are unable to accept bookings for tours shorter than 10 days.